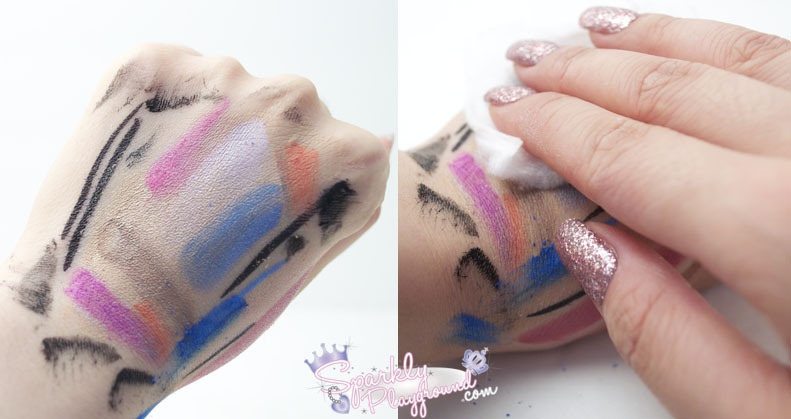 Available in Drugstores Across Canada: Shoppers Drug Mart, Murale, eBay and much more. 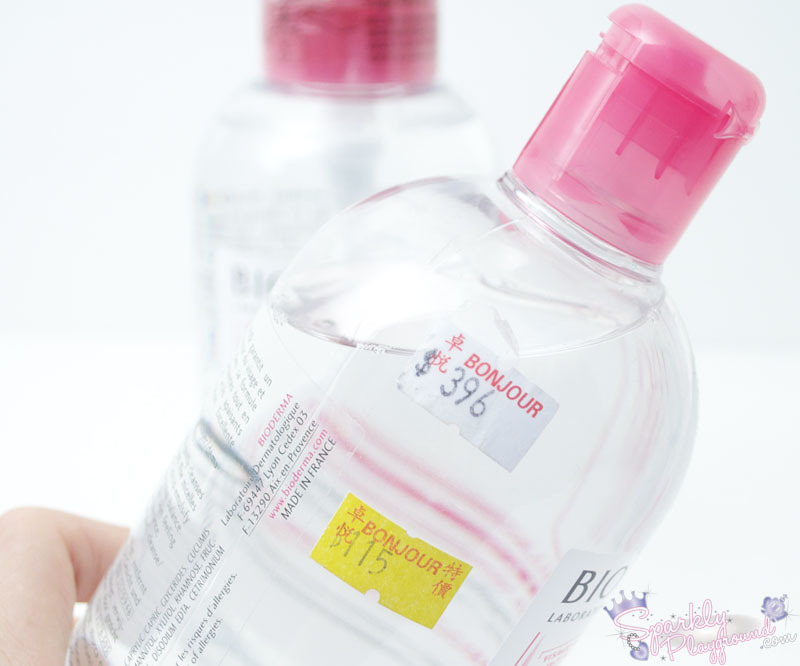 I purchased my first bottle (the old packaging) for $115 HKD ($15.75 CAD). To be very honest, this product is almost always on sale in HK. One time I even saw it for $95 HKD ($13 CAD)! Hong Kong's retail price is about $396 - $450 HKD ($45-60 CAD) I believe they purposely retail it higher so the discount appears larger. I originally purchased my first bottle because I heard amazing things through friends and my mom. I didn't have much complaints about the packaging but I do think that when I tilt the bottle to pour contents onto my cotton - it's super heavy (not good for small hands or weak wrists), it's a big bottle after all! With the new pump packaging, I feel like it's PERFECT now! 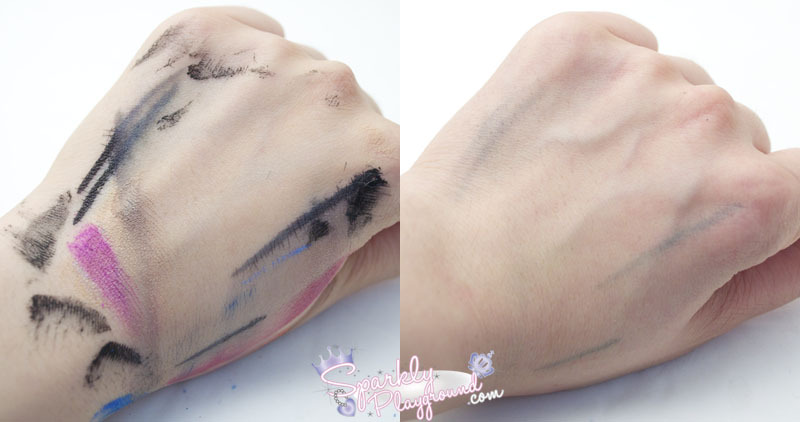 With just one swipe: foundation, waterproof mascara, eyeshadows were all removed. With a few more swipes, only the staining liquid eyeliner was left behind. 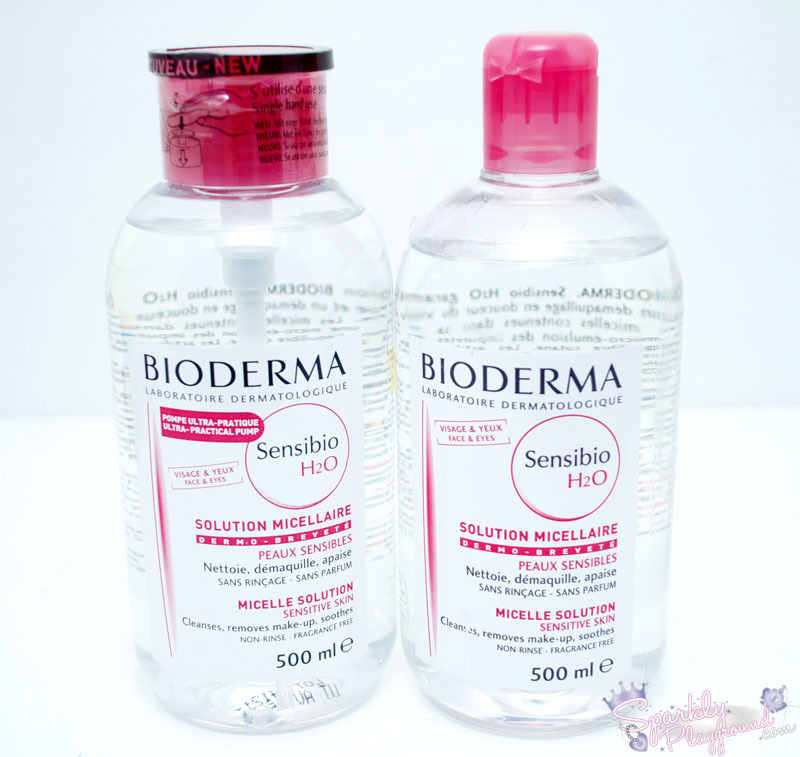 Since this product is in the Sensibio line - it means it's for sensitive skin. Using the product on my own face and eyes, I didn't feel any burning in my eyes. No weird skin irritations, dry tightness or alcohol feeling. There is no oily residue leftover and it is made so that you don't need water to rinse it off. However, just to complete my skin care routine, I always rinse it off. In terms of price, I feel that the Canadian price is rather high compared to Hong Kong. Thankfully, there are other options such as eBay, Amazon or Custom Purchase (CP) from friends and family (f&f). I feel like I only use this product as a make up remover and not a skin cleanser 2 in 1. 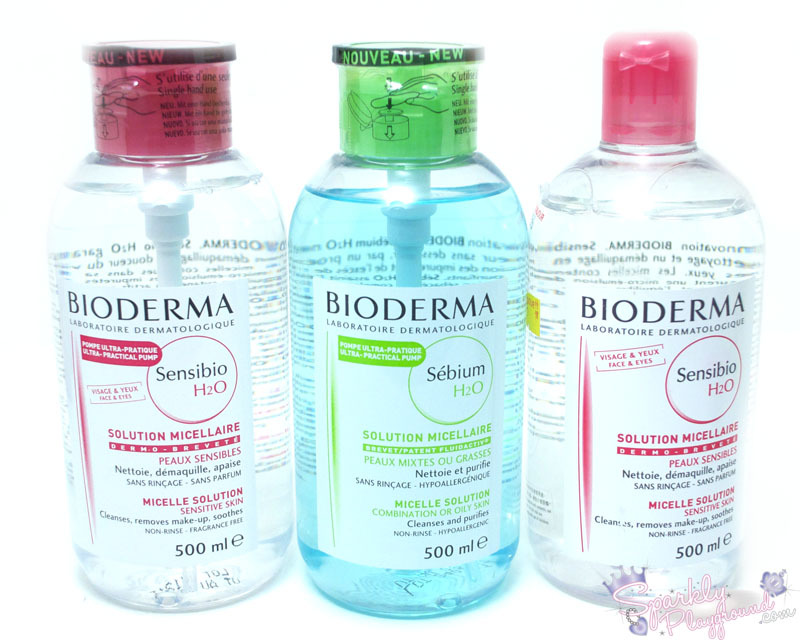 For a skin cleanser, I'm going to test out Bioderma Sebium H2O Micelle Solution (picture above; the blue/green bottle). That's all for now, since many people seem to have tried this product, please let me know what you think!! :) ps, I found out that apparently 1 bottle is sold every 7 seconds!!!! WOW! Packaging: 5/5 ♥ Flawless with the new Pump Packaging!